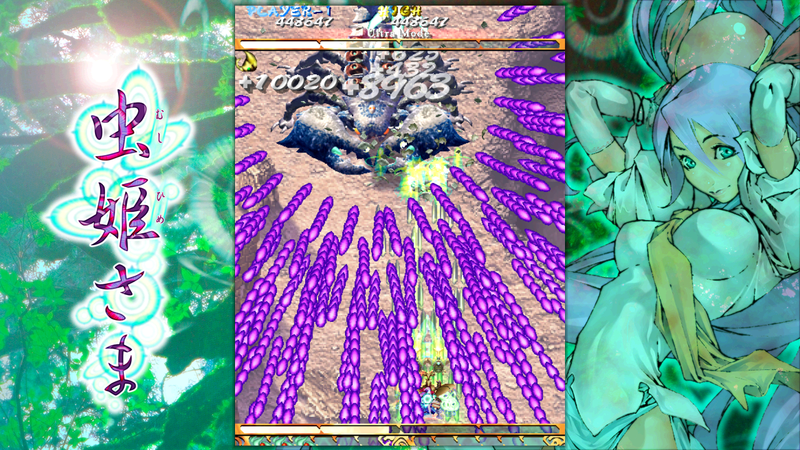 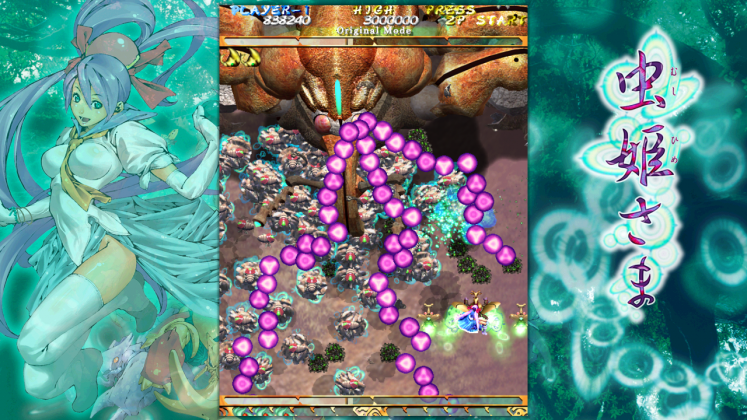 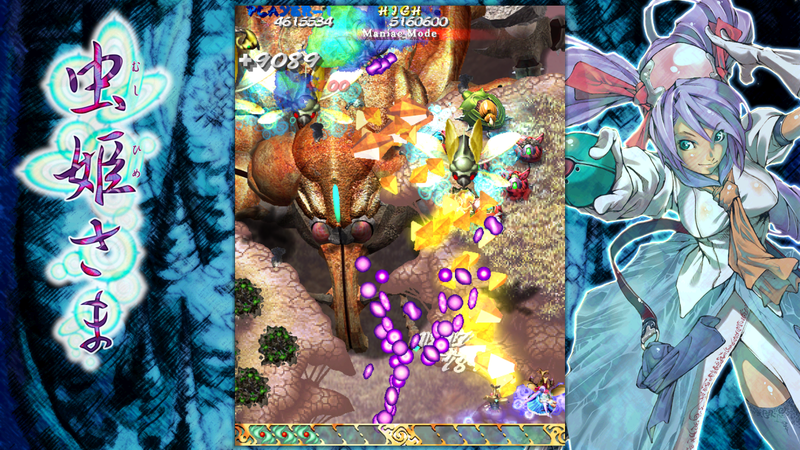 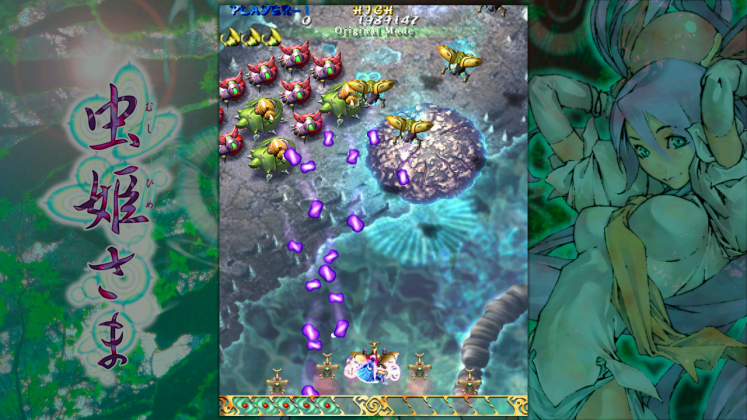 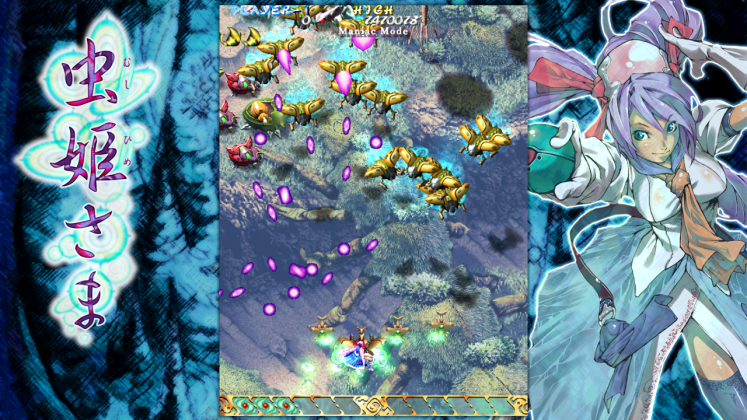 Mushihimesama, or “Bug Princess”, hit the Japanese arcades over a decade ago, captivating players with it’s addictive, and sometimes infuriating, gameplay. Cave Game’s “shoot-em-up” (“shmup” as I’ll refer to it) relies on quick reflexes and memorization of the thousands of bullets rampaging across the screen. 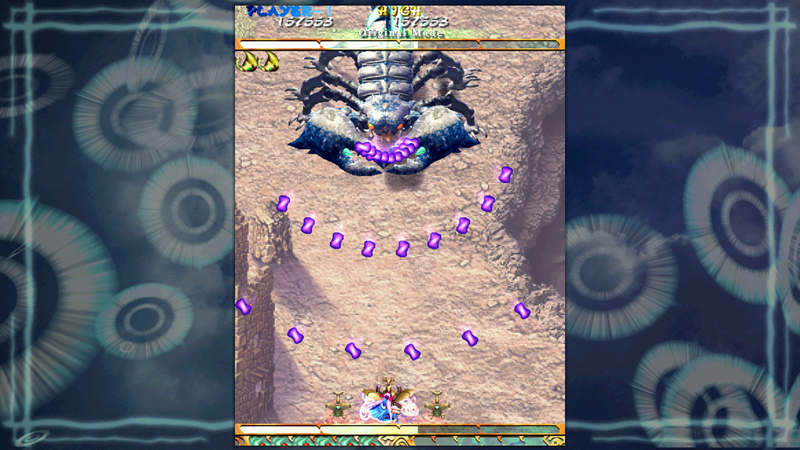 This isn’t a game that will draw you with its graphics or story, rather, the addictive gameplay will have you coming back repeatedly in order to master the game and challenge yourself with higher modes of difficulty. 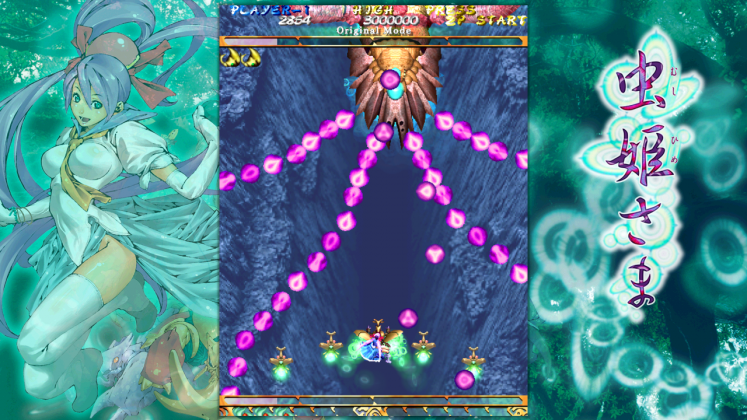 Thankfully, there’s a ton of content available in the base game, as well as a “1.5” DLC pack that introduces remixed levels and gameplay elements. 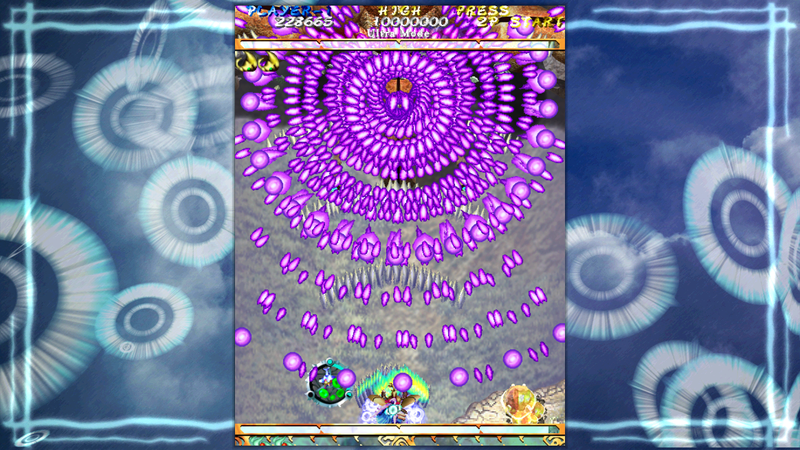 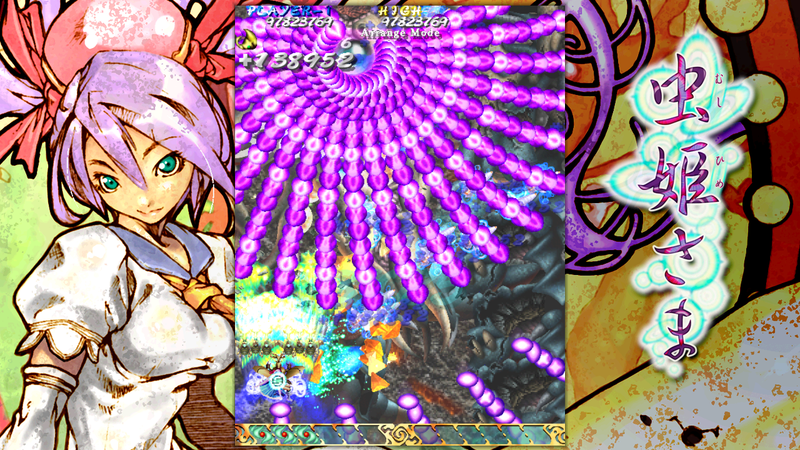 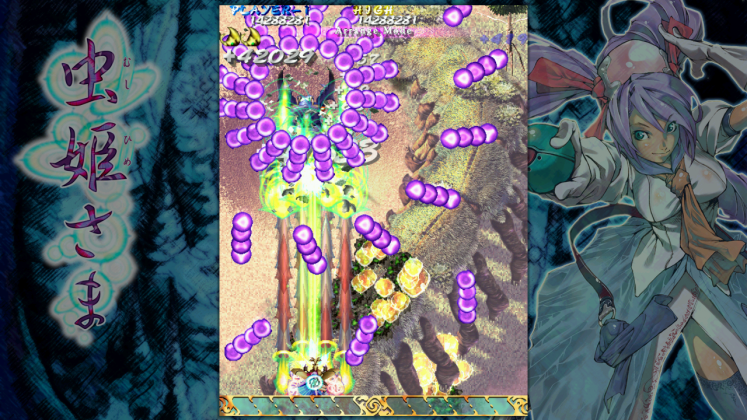 Shmups are notoriously known for “bullet-hell” mechanics that necessitate the aforementioned quick reflexes, and Mushihimesama is no different. 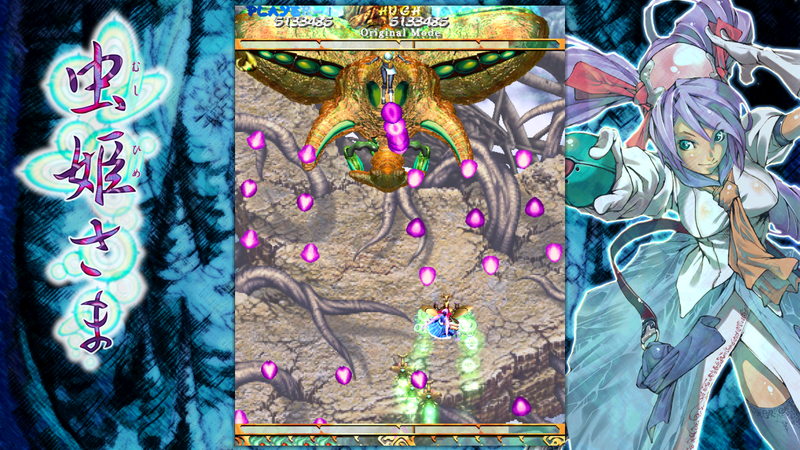 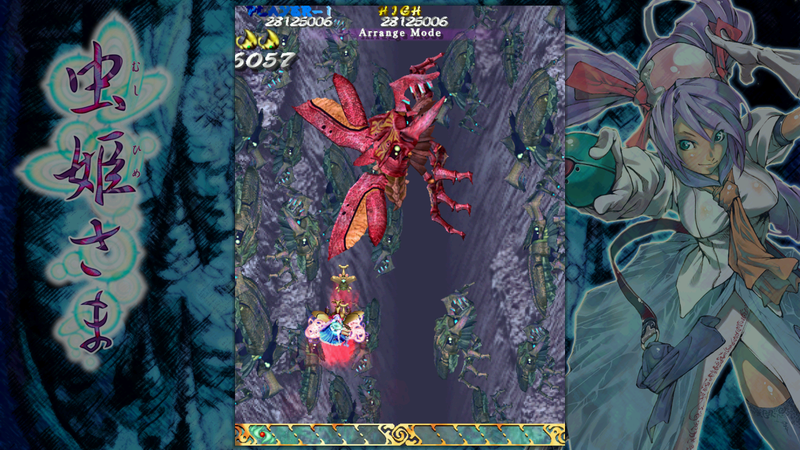 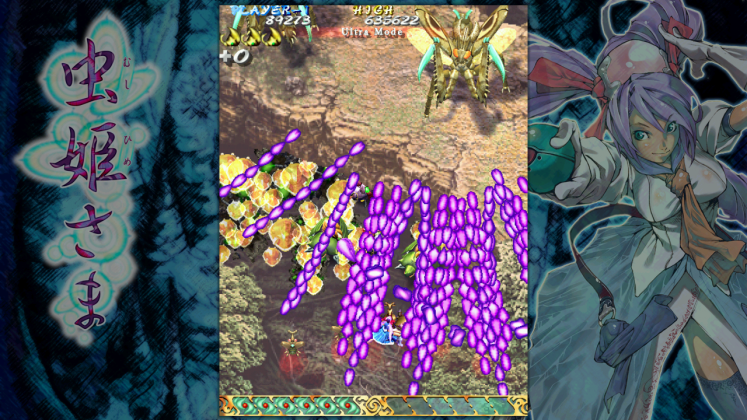 The player must guide the Bug Princess Reco and her faithful beetle Kiniro through 5 stages filled with a maze of projectiles, enemies, and end-level bosses. 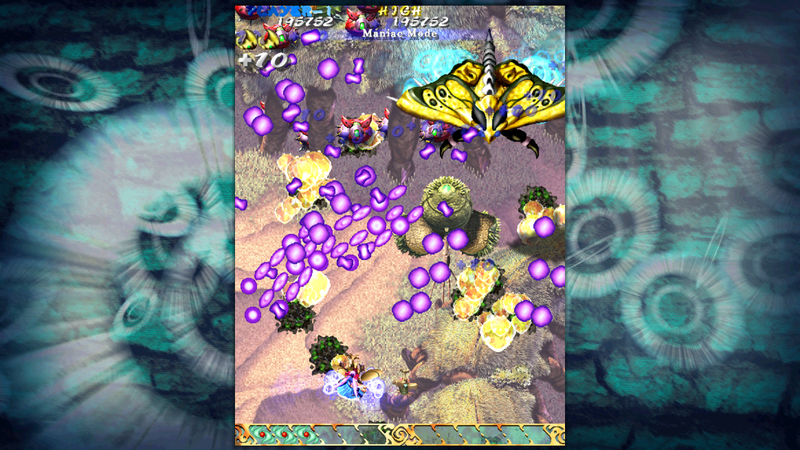 All enemies and bullets travel the same path during each playthrough, so it’s up to the player to memorize the patterns and waves of enemies as they appear. 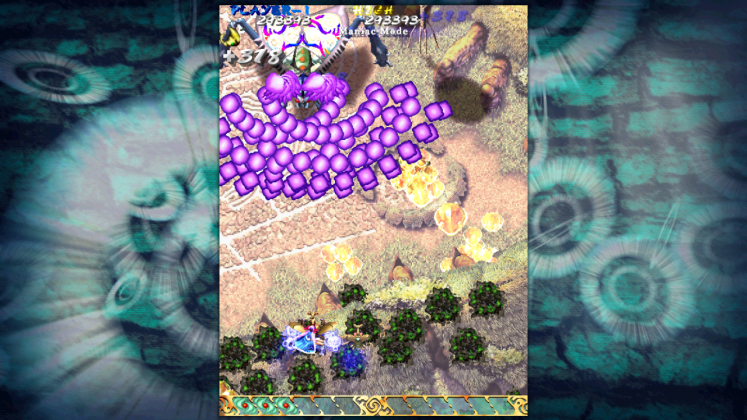 This would’ve been a tall task if I had been playing in the arcade, as some of the higher difficulties literally fill the screen with objects. I’d be lying if I stated that I made it through the Normal difficulty in one go. 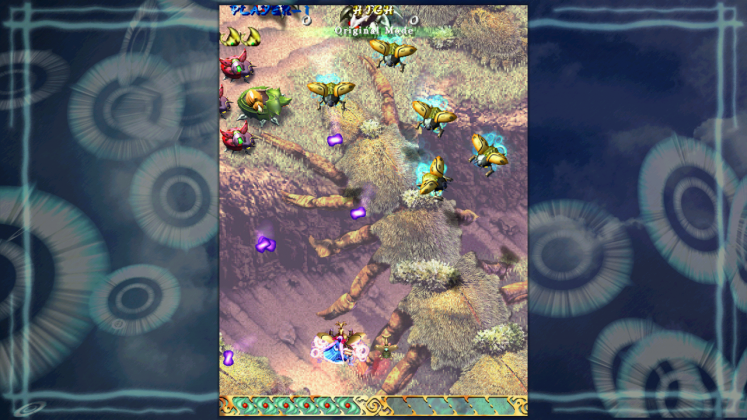 So, if you’re afraid of the difficulty, know that there’s no penalty for continuing your game after dying outside of unlocking a handful of achievments. Speaking of difficulty, not only can the player adjust the general difficulty, which changes both the number of bullets and enemies, but also the number of lives the player has before being shown the “Continue..?” screen. 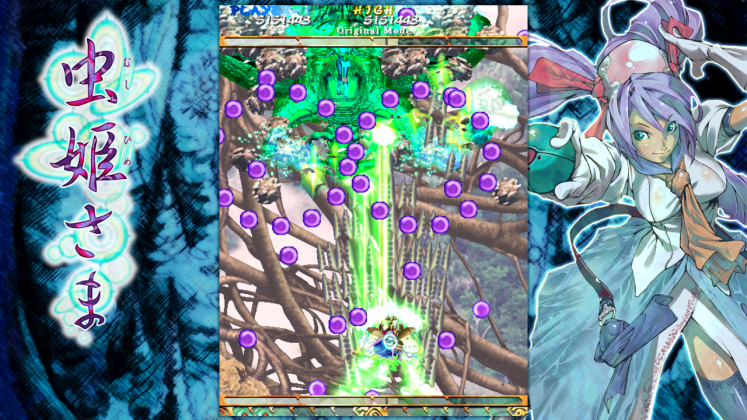 The player benefits from the adaptability of Mushihimesama‘s gameplay, which allows the gamer to practice their way to the “endgame”: a one-credit clear. 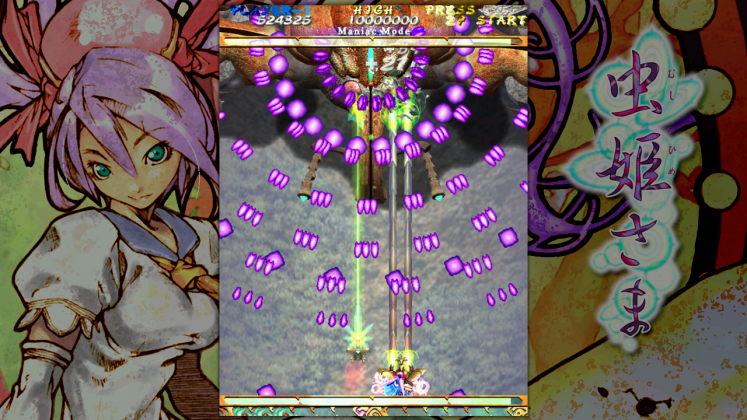 Mushihimesamahas been faithfully restored from the arcade code, both good and bad. 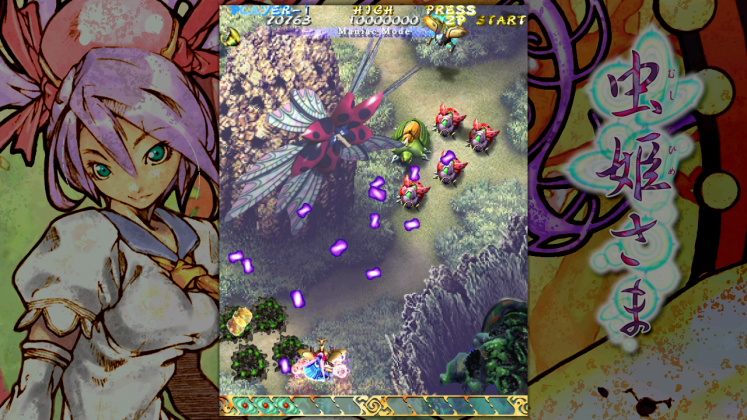 The game definitely shows its age, and wouldn’t look out of place on my dusty PS2 (which it was also ported to), but there’s a sense of admiration for the developers at Cave for faithfully porting their classic for a newer generation. 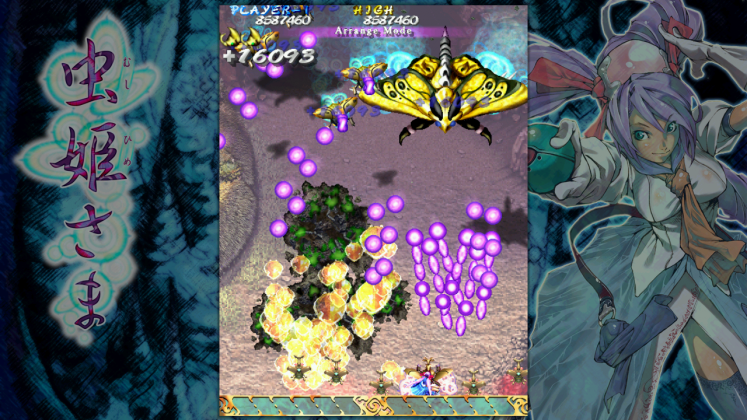 You’re not going to find flashy graphics or 4k resolutions, but you will find a 1:1 copy of the original game as it appeared in arcades over 10 years ago. The original resolution, menus, aspect ratio, and even slowdown are all present and accounted for. 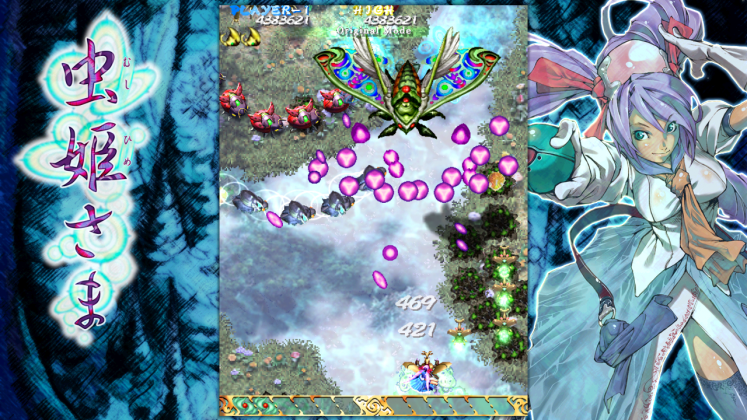 Purists will be happy, but some who are looking for a modern gaming experience may not be satisfied with the way Mushihimesama is presented. The game is locked at a specific aspect ratio and resolution, filling the majority of your monitor with alternating wallpapers. 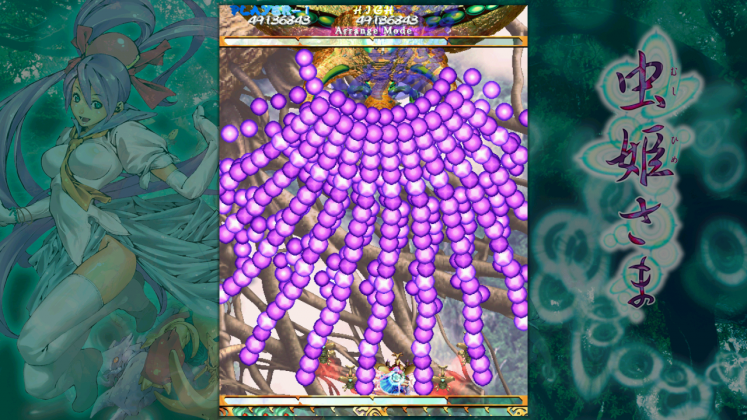 This was done in an attempt to preserve the integrity of the original arcade experience, but makes it difficult to keep track of what’s happening onscreen, especially if you’re playing on a smaller monitor. This problem can be “fixed” if you’ve got a monitor that can rotate 90 degrees and requires a few adjustments to your system’s resolution, but I’d highly recommend that setup if at all possible. 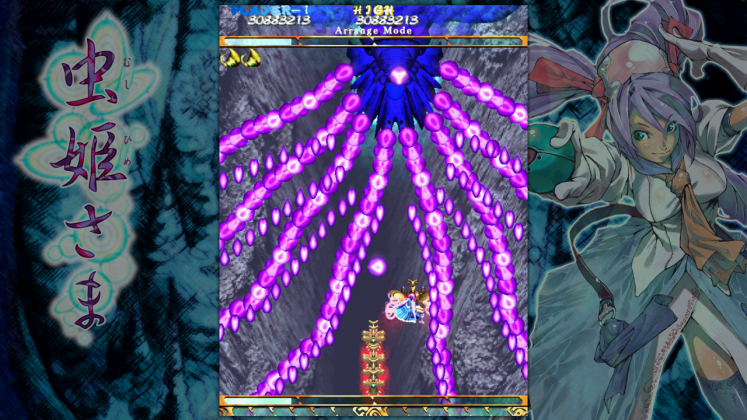 That said, it would’ve been nice to see updated resolution and framerate options for gamers who don’t necessarily care about the replication of the original arcade title. 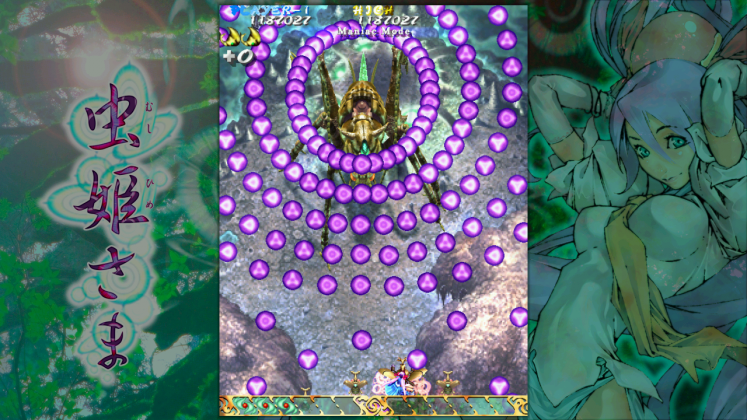 As I mentioned before in this review, the core of Mushihimesama‘s gameplay revolves around replaying levels to mastery. 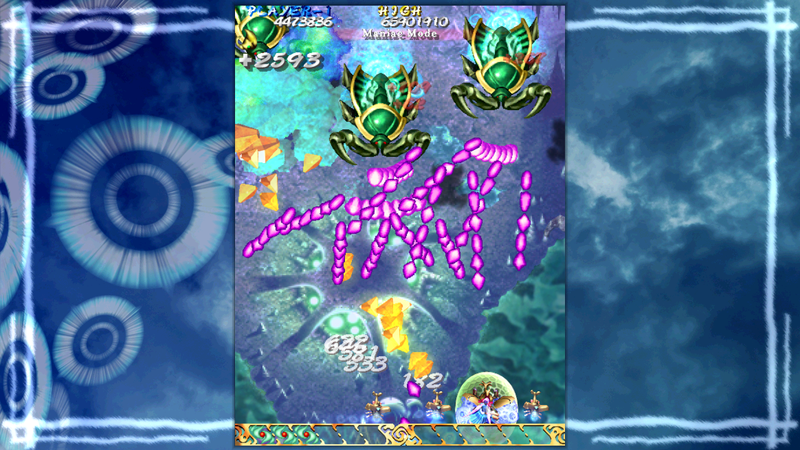 Fortunately, the gameplay is enjoyable enough that even the most critical players will find a degre of enjoyment in the thrill of this title’s challenging gameplay. Accomplishing the glorious “one credit clear” is the ultimate goal for all difficulty modes of Mushihimesama, rewarding players for taking the time to learn the mechanics and layouts of each of the five levels. 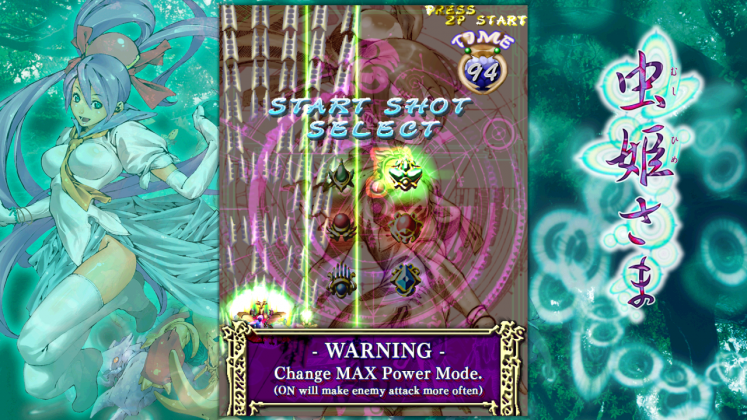 I found this to be the most enjoyable aspect, as it pushed me to get better throughout my playtime, and, given the numerous modes and difficulties, I could see a player getting hooked for months. 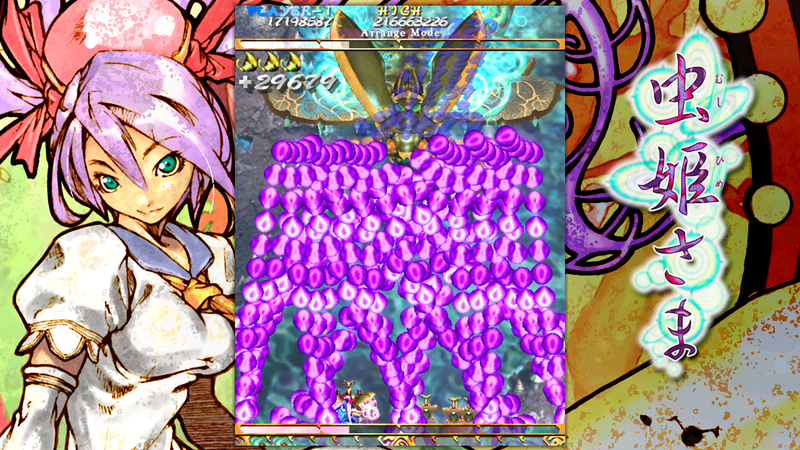 I didn’t know what to expect when I first booted up Mushihimesama on my computer. 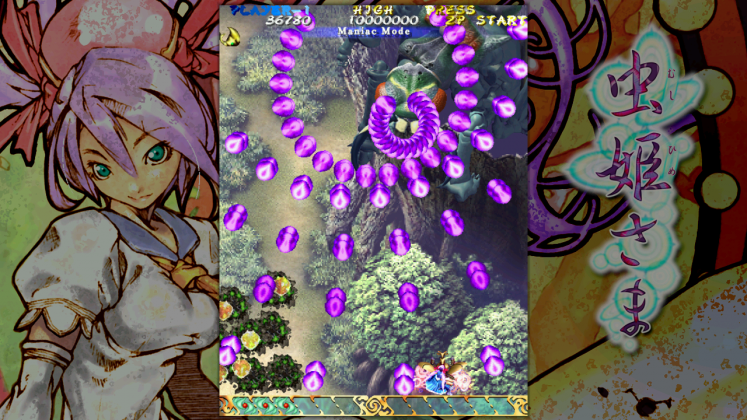 I’ve never been great at shmups, the last of which I tried and stopped playing after an afternoon of frustration, and I didn’t grow up with arcades so the coin-op nostalgia doesn’t excite me as much as it might others. 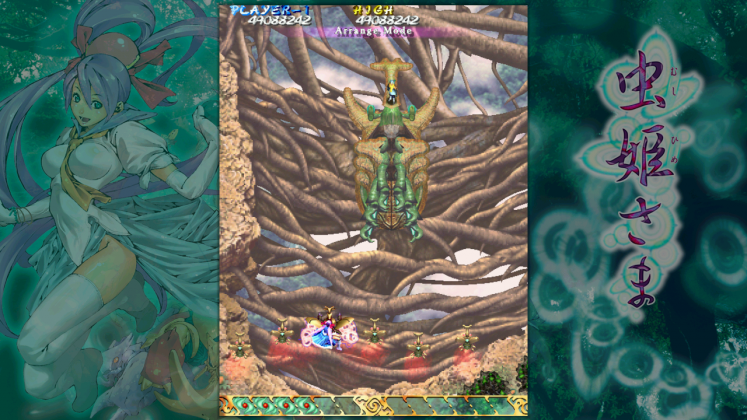 That said, even though I had seen some screen beforehand, I wasn’t prepared to see quite how dated the game would look in motion. I guess I was sort of expecting a remaster akin to those currently flooding the market rather than a direct copy of the arcade code. Shmups aren’t for everyone, especially those like Mushihimesama that rely on pixel-precision at higher difficulties, but if you’re at all interested, there’s enough content to keep you grinding for a higher score through the holidays. 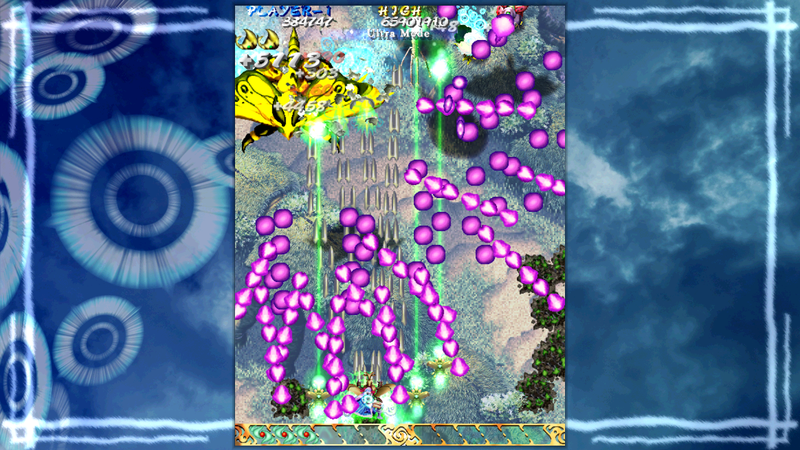 While the graphics and presentation may be lacking when compared to modern games, that shouldn’t detract from what the developers at Cave have achieved with this faithful reproduction. If you’re looking for a cheaper title to distract you from the glut of AAA Explosive Holiday Titles™, then look no further than this surprisingly entertaining game. 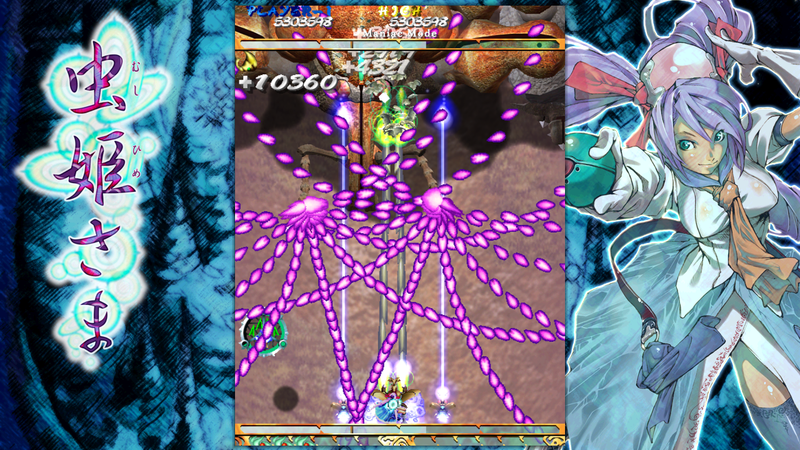 Apart from some problems that arise from the faithful acrade presentation, and the niche market that this game is marketing toward, I do recommend Mushihimesama to any shmup fans or those interested in the genre. 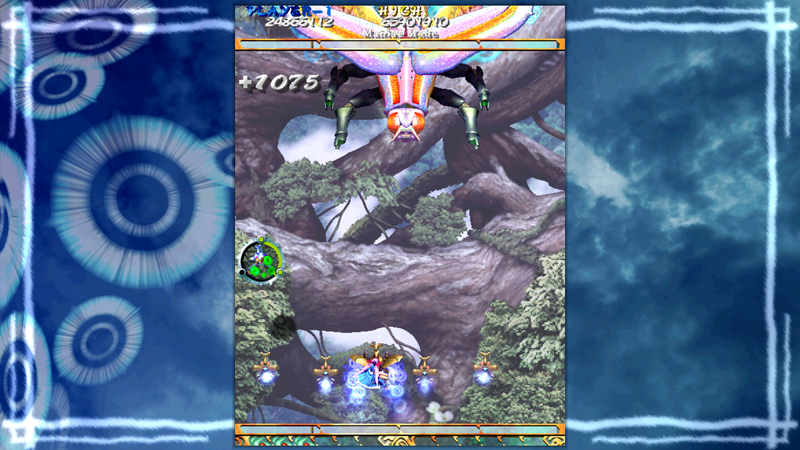 This title is full of enjoyable content for a relatively cheap price and has a fairly high replay value that will keep fans hooked until they get that 1CC.